Over the past few weeks I’ve been trying out a method for personal productivity that I call Frog Day. Every Monday is my Frog Day Log Day. That means today is my Frog Day Log Day Blog Day! As I’ve mentioned previously, I like to work on many things at the same time. One issue I found with working on whatever I feel like at the time is that I started to worry that urgent tasks would be forgotten until too late. I also found that although I was completing many tasks, I didn’t feel like I was achieving as much because I wasn’t accountable to anybody. To address this I created Frog Day – one a day a week when I list my achievements and take care of anything urgent that I don’t feel like doing. While the attribution is suspect, the intention is sound – if you take care of your most unpleasant task at the start of the day then you won’t have to worry about it for the rest of the day. Inspired by this, I decided to take care of the most unpleasant tasks at the start of the week so that I wouldn’t have to worry about them for the rest of the week. I refer to this as “eating my frogs”. Bedroom looks real nice now! Rearranged furniture and installed new desk. Switched from eating Milo cereal to overnight oats. Started work on presentation, first run went great with plenty of content. Slides are looking awesome. Found two new consulting leads. As I mentioned in my previous post, my health is the key to my productivity so it is always the most important part of my achievements list. If I’ve had a bad week health-wise, it’s even more important to recognize health achievements because that self-care will have taken the majority of the week’s effort. Self-care is a productivity achievement because it hastened my recovery, which made me more productive. My highest priority right now is tackling my insomnia because all of my work depends on my ability to think clearly and sleep directly impacts this. Sleep deprivation also lowers immunity, leading to illness, which further impacts productivity. So resting and sleeping is part of work, and getting high quality sleep is definitely a great achievement. Sometimes I have had so many frogs to eat that I needed a few days to consume them all. It was worth it because after a few unpleasant days I had lower stress levels for the rest of the week, which meant I maintained the energy I needed to naturally motivate me to complete other projects. I have had success with this habit for a few weeks and I now consider it an essential part of my work process. 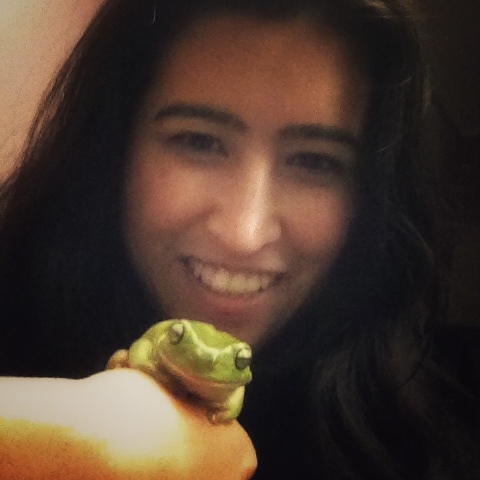 No frogs were harmed in the making of this blog post.